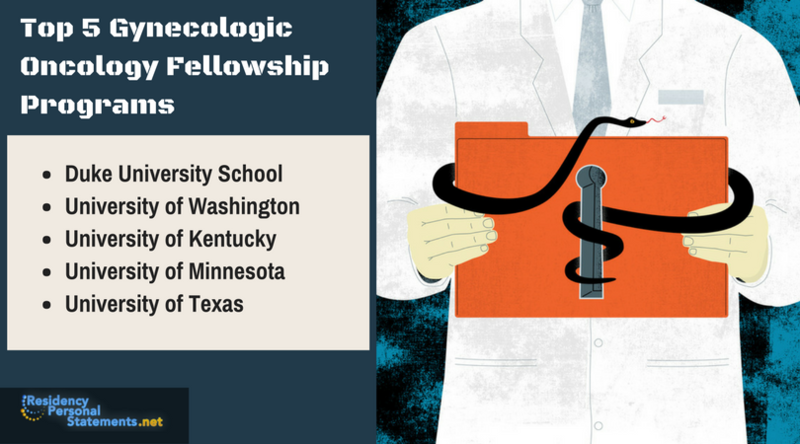 What do you need to submit when applying for gynecologic oncology fellowship? For applicants who are interested in pursuing a fellowship in this field, you will need to submit your completed application form, digital photograph, USMLE scores, all transcripts from previous medical schools, three letters of recommendation with one written by the program director, and of course, the personal statement. Unfortunately, many choose to pay little to no attention to their personal statement because they assume that it won’t be counted at all. This is one of the reasons why many fail to get noticed even though they have an impressive background it happens in cases when there are too many candidates with the same test scores nad academic background. 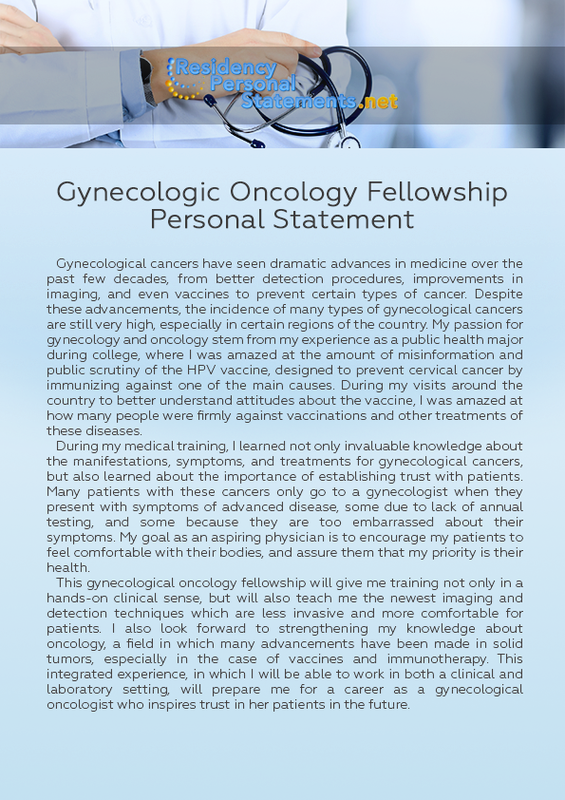 The Gynecology Oncology fellowship program is the one that requires a lot of studies and focuses on the learners. Therefore, it becomes necessary to choose the best university for seeking admission in this program. Here are 5 popular universities that can give you goals of studying this program. MD Anderson Cancer Centre. It is one of the largest training programs related to this particular field. The best thing about getting admission into this program is to study the advanced course books and research papers. The University of Washington. It is another ideal institution to study this subject that requires the practical performance too. Many modern course subjects are being offered to study there. The University of Colorado. In the year 2009, the university has begun their fellowship program by establishing the Department of Obstetrics and Gynecology. Massachusetts General Hospital. A three-year oncology gynecologic fellowship program that offers physicians interested in specializing in clinical field is at Massachusetts General Hospital. The University of Virginia. Another best program that can guide you to learn well about the Gynecologic and Oncology program is being offered in the University of Virginia. 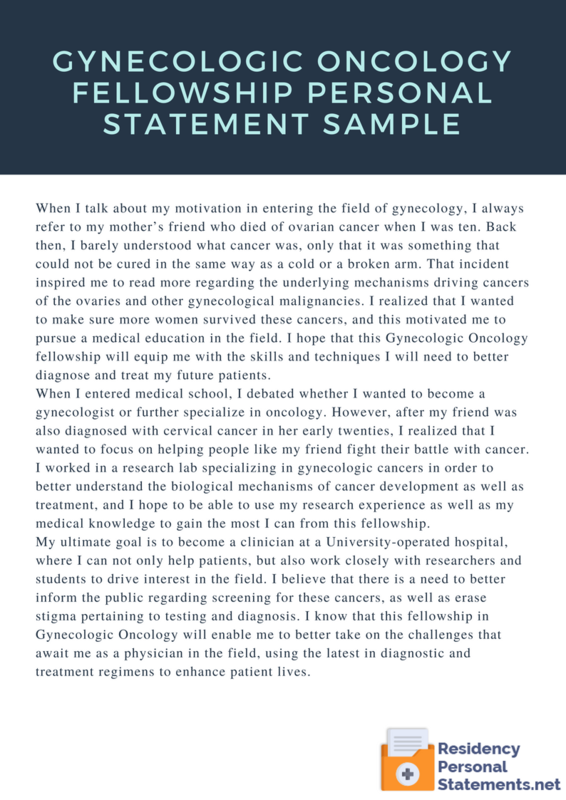 How to Deliver a Well-Written Gynecologic Oncology Personal Statement? Write your reasons. The residency personal statement is where you tell your readers what is driving you to pursue a fellowship. State yours and make sure that they are laid out in a coherent manner. Write facts. Your readers would want to know why they should consider you for the fellowship. This means providing them with facts about your background and experiences. Keep it simple. Long and complex sentences are all well and good if you are writing an essay in literature. Your personal statement should be brief and straight to the point and packed with information. Watch the word count. There are some fellowship programs that would require you to write two pages worth of statement but if not try to keep yours as short as possible such as a single page to avoid boring your readers. Review. No matter what paper you are writing it is important that you review your work. The same step should be taken when it comes to your personal statement. Your personal statement plays a role in your application as it is here where you get to add more information about your background, achievements, and experiences. Unfortunately, not everyone knows how to deliver a well-written paper that highlights their strengths. If you are one of those individuals who just can’t seem to find the right words to explain their background in a gynecologic or oncology fellowship personal statement, you will need help. Fortunately, you’ve come to the right place because this is what our residency personal statement editing service is all about. Our writers are chosen for their medical background and their skills in writing to ensure that all personal statements that we deliver are of the highest quality. When you place your order with us, we’ll assign a writer who has background in oncology to work on your paper. The writer will get in touch with you to discuss your personal statement further. This way, you will know that you’re going order is in the best hands. When it comes to your personal statement for gynecologic oncology fellowship, don’t leave it in the hands of amateurs. Your best bet would be to leave your paper with us so that you’ll get the best outcome in no time. With our years of experience and knowledge when it comes to personal statements, we are confident that your order will come out just like the way you want it. Hire our writing service and we’ll show you how to write your personal statement for gynecologic oncology fellowship like a pro!